I came across an article in this months ELLE which discussed the revival of the "demi-heel". Seen at the likes of Valentino, Céline and Prada, low heels are all the rage this season, so I for one will be making room on my shoe rack and waving goodbye to the overly high heel....thank goodness....a heel I can walk in! 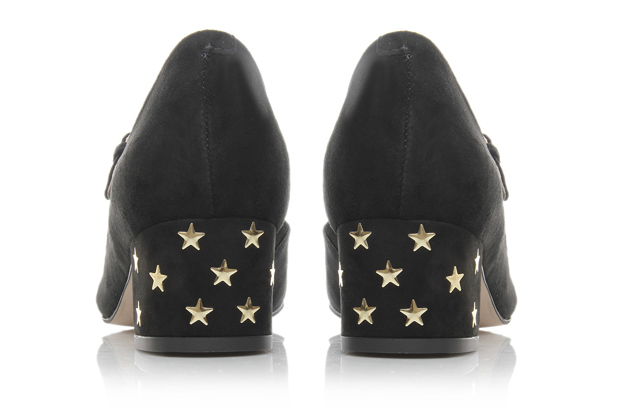 I'm in absolute awe of these Kurt Geiger's! 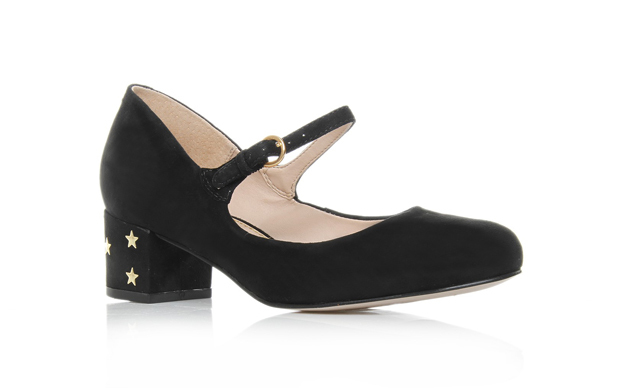 £120 is a little, (way too), steep for me, but boy are they beautiful!? Unfortunately not many high-street stores seem to have caught on to this trend yet, but soon I'm sure the low heel will be EVERYWHERE, and I can't wait! I plan to wear mine with skinny jeans during the day, and then cute ankle socks in the evening! Will you be buying into this trend? I've literally just read that article in ELLE. I'm so hoping the trend sticks because not only are they more comfortable but for tall girls like me, it gives us a chance to wear heels! I don't really like them, I prefer bigger heels - I like to feel really tall, even if there is a high chance of stumbling! Those are the most beautiful shoes I've ever seen. How cute are they? I also hope the high street will be catching on also!